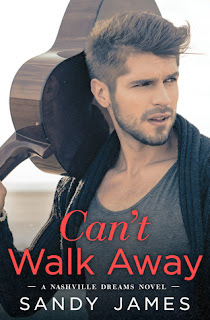 Can't Walk Away is book 1 in the Nashville Dreams series. I've been a fan of Sandy's work for the past few years so I knew I had to grab book one in her brand new series! If you love musicians in your novels you're going to need to grab this book! Savannah Wolf is a single mom that works as a waitress at a local bar in Nashville. She happens to do one of the indie nights at the bar and winds up on the fast track to being a celebrity. After hearing Savannah's amazing voice, Brad Maxwell (aka Hitman in the music industry) hires her as part of the talent at the bar and she starts recording songs he's writing just for her. Brad's been in a music writing slump for a long time until he hears Savannah sing, she pretty much becomes his new muse and he can't get her out of his head. The relationship moves a bit too fast for my taste in the beginning but overall I thought the story was done well. That being said, I really wish there was a bit more research done regarding the Vietnamese restaurant scene. While most people probably won't catch too much from it, I'm married to a Vietnamese guy and happen to eat the food so it really stood out to me. Not everything is super spicy like how the book says, the vegetable egg roll she mentions is really one with meat (and tons of veggies) and the "soup full of spaghetti" made me question why the word wasn't changed to noodles by anyone. I'm hoping it was changed in the final version at least. Can't Walk Away is a great start to a new series. I really enjoy musician books and haven't really seen many songwriters as a main character so thought that was a nice addition. Both characters have been hurt by someone in the past and carried over those feelings to this relationship so there were trust issues in their relationship. It added a touch of conflict and there was a much larger conflict later in the story that had me questioning how things would turn out. 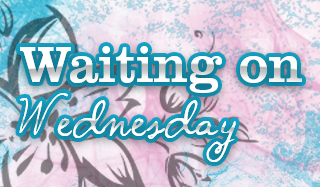 Overall, this was a lovely read and if you enjoy contemporary romance with musicians mixed in you'll adore this book. Well it could have been better but it looks good in a whole. I'm wondering if you read her Amazon series (UF) back in the day! Aside from some minor points, this sounds like a great read. A few years back I only read books that revolved around (country) musicians. So would be nice to read another book like it again sometime. It is good to know you still enjoyed it despite the issues. Great review. I so want to try this author out now. I have never heard of this author until this week. And I know I will enjoy this one like you did even if you had some issues with it.